This month I’m proud and inspired to help change the face of men’s health and join the Movember men’s health movement because, as I’ve shared before, my dad struggled with mental illness for much of his life and it could have been prevented or at least treated with more awareness earlier in his life, and I have several men in my family, like Uncle Johnny, who have struggled with or sadly lost the fight with cancer. As you can see, my stache is of the blonde variety so it’s coming in a little light. But I’m sure it’ll finish full and strong by the end of the month. That said, I’m happy and honored to sprout a mustache to raise awareness for the health of men and concert fans everywhere! Over the years, we’ve featured many stories that explore and bring awareness to men’s mental health, especially how we proces grief, trauma and loss. So here’s a collection of those stories so we can pay tribute to these men and remember those who’ve passed on, learn from their experiences and hopefully think more about how live music can and has had a positive impact on the mental health of men everywhere in the universe. Speaking of inspring stories and creative tools to get us thinking more about men’s mental health, I thought you might want to soak up some knowledge and sobering stats on men’s mental health and check out the mantherapy.org site that’s featured on the Movember list of partner sites and awareness tools. One of my favorite parts of the mantherapy.org site is the One-on-One therapy DIY Guide. It’s full of practical tips, and knowing how therapeutic live music is, I’m sort of surprised that “going to a concert” isn’t on the guide. Maybe they’ll add it for next year. 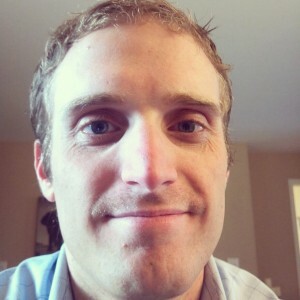 To wrap this post up I wanted to let you know that part of Movember involves raising support. So if you’d like to support the cause, you can visit my Movember page and donate here. Thanks for taking the time and please drop comment so we can share your Movember concert stories on a future episode of Live Fix Radio. And stay tuned for more Movember updates as I include my son Calvin into the mustache mix too.